LEADING archaeologists got together at Salisbury & South Wiltshire Museum on Saturday for a Solve Stonehenge debate. Professor Tim Darvill, Professor Mike Parker Pearson, Mike Pitts and Julian Richards, who have all directed work within the Stonehenge landscape over the last 30 years, were kept in order by Andrew Lawson as they shared their expertise, discussing such questions as Did Stonehenge have a roof?, Which is more important, Durrington Walls or Stonehenge? 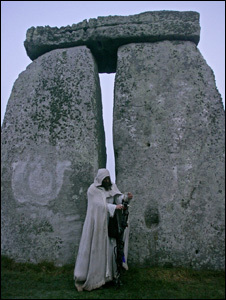 and Who built Stonehenge?. The debate was part of a weekend conference to celebrate the museum’s 150th anniversary.